Enjoying a beautiful moment in the moonlight. One of my favorite places. 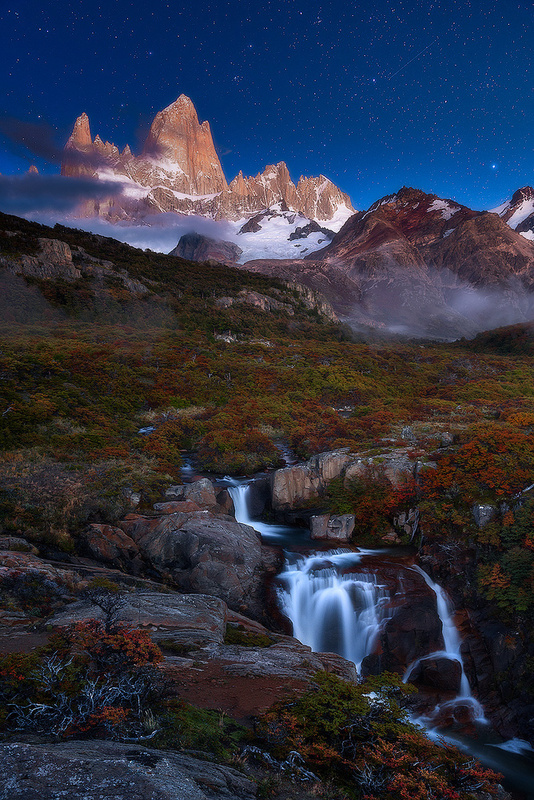 Mount Fitz Roy, Patagonia. Argentina. "Small light on the big night"
Lower your eyeleads to die with the Sun. Your precious light will shine! Meet me here at dawn.